Here’s our teams predictions for what the 2019 event trends will be in the events industry. Having entertainment that guests can interact with upon arrival, is a great way to keep your the room engaged and leave them with memorable talking points. Some more intimate events, or events with smaller budgets, may opt for low-key entertainment. This could range from singing waiters, to magicians working the room after a dinner party. With larger budgets, you may want to choose something more extravagant. 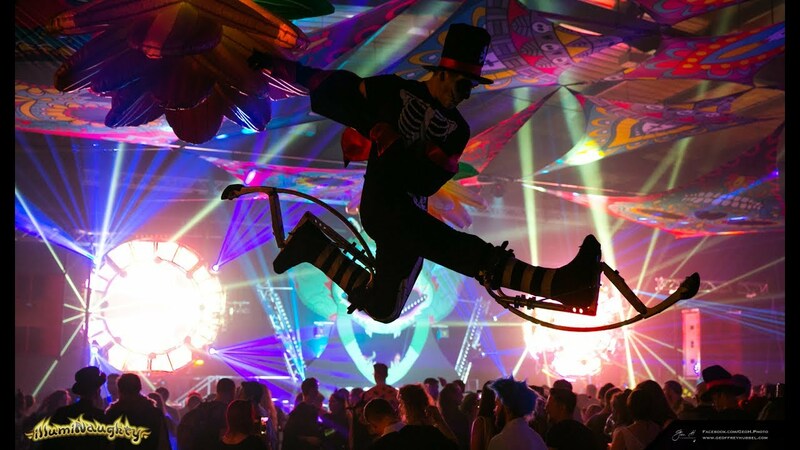 At the JMF ball we managed in November, we provided a multitude of circus style acts throughout the night, and performers that would greet guests upon arrival. Guests are going to be Instagram-ing their night regardless, so why not enhance their experience with some engaging backdrops and entertainment. Pictured below is some inspiration from a new company we’ve been in talks with, Artlectrics. They design beautiful and quirky art installations, perfect to partner with other backdrops for your event. 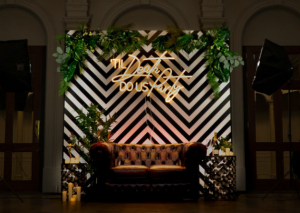 Rather than just having a lovely wall for your guests to stand in front of, this idea is a combination of seating, backdrop, signage and other theming surrounding the area that your guests can work with for a full photoshoot. Mapping allows guests to walk through an ordinary venue, with the feeling that they’re in a completely different environment. The tech teams we hire in are able to turn common objects into interactive 3D experiences. From playing with staging effects, to projecting images onto the side of a building. Mapping gives an engaging experience, through visual stimulation. This is perfect to use if your venue has a plain backdrop. Many companies are opting for a modern theme of project mapping throughout their venues for that WOW factor, rather than just dressing a room with draping. 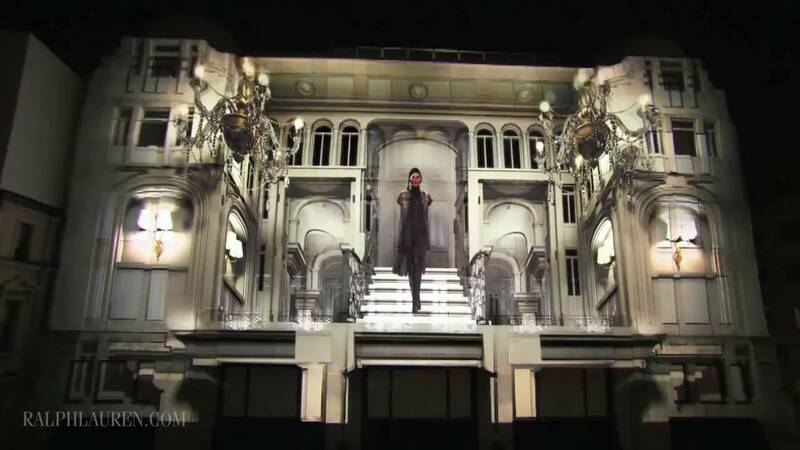 The below are two very different examples of projection mapping. The first is from Illuminaughty, which is held at Bowlers Exhibition Centre in Manchester and the second is the Ralph Lauren 4D experience fashion show they held in London. With everyday eating habits changing, we expect that menus will have to develop to move alongside guests expectations. There are much more vegan, vegetarian and niche restaurants opening, both in major cities and in smaller suburban areas. We expect events will go in a similar direction. People want a broader range of options, something that appeals to all of their senses. 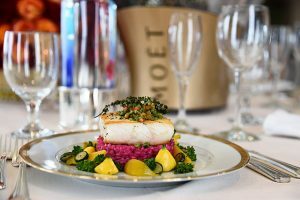 When we meet with catering companies and venues for taste-testings, prior to an event, we ensure they’re matching the vision of our clients and the theming of the event. Now, I think we may find that clients will become more interested in health aspects; as well as catering companies, who are more likely to provide meals that suit the needs of everyone and meet a higher quality standard, such as gluten-free and organic substitutes. Standard chicken dinners will become a thing of the past! Below you can see the dishes for Golden Globes 2018. The salmon is on a bed of beetroot risotto, and vegetables. This delicious dish proved to be a treat for the eyes and the belly, as well as choosing a healthy option for their high profile attendees. 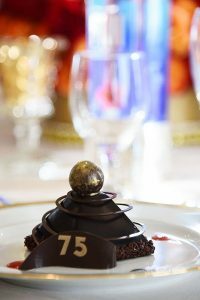 Keeping in theme with their 75th Golden Globes as well as dietary needs, they served up a gold-dusted, gluten-free creme rule complimented with a chocolate blocked stamped with ’75’. Balloons went off the scene for quite sometime, but over the last few years they’ve come back with a bang. Last year we saw them become very popular, in different aspects of theming of events, and we expect they will continue to grow. Instead of bunches of balloons, people are opting for arches and clusters, like the below image, from ‘House of Hooray Cheshire‘. 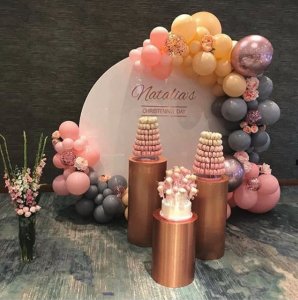 Whether it be a dramatic feature displayed, or s small area with a cluster of balloons, balloons are sure to bring life to any venue. Contact us today to find out how we can help with your next big event.